“Game Over” …you’ve lost, and to play again you’ll have to start right back at the very beginning… Do you hate the Game Over screen? In almost every game we’ve ever played – “good” and “bad” – the single most annoying scene in the entire game is the Game Over screen. This single scene somehow manages to fill players with more emotion than any romantic, sad, or exciting intro movie ever has! Today, we’ve got a game with possibly the most spectacular game over scene ever known to mankind. 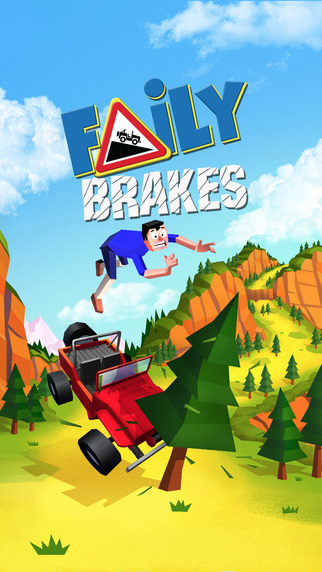 Faily Brakes – as you can probably tell from the name – is a game about a guy in a car with failing brakes. 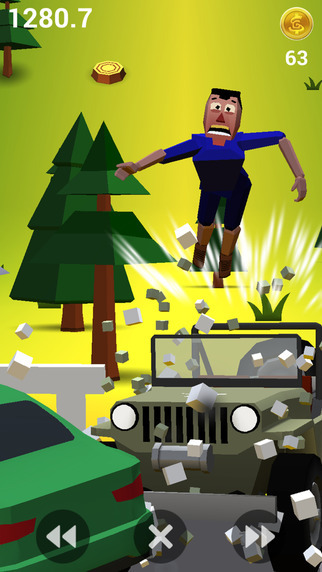 The gameplay is what you’d expect – avoid obstacles, don’t crash into other cars, trees, rocks, or trains – pretty simple… But the Game Over scene..? The Game Over scene for Faily Brakes is probably the most amazingly extraordinary part of this entire game! 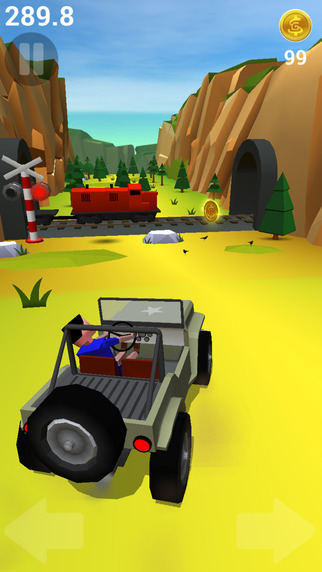 With proper slow motion physics, and a moving camera to add extra effect, the crash scenes – Game Over scene – is amazing. By the end of the first 3 games, we were playing this game just to see how spectacular a crash we could achieve! 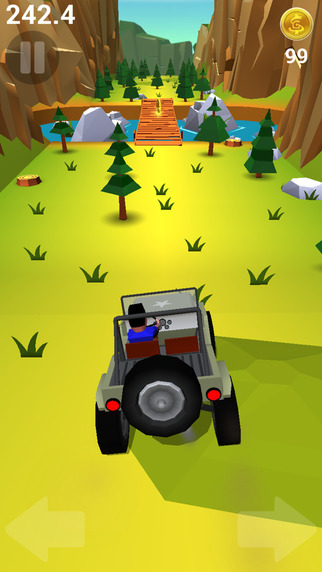 Reading our review you may think Faily Brakes is a game about crashing, if that’s the case we assure you it isn’t.